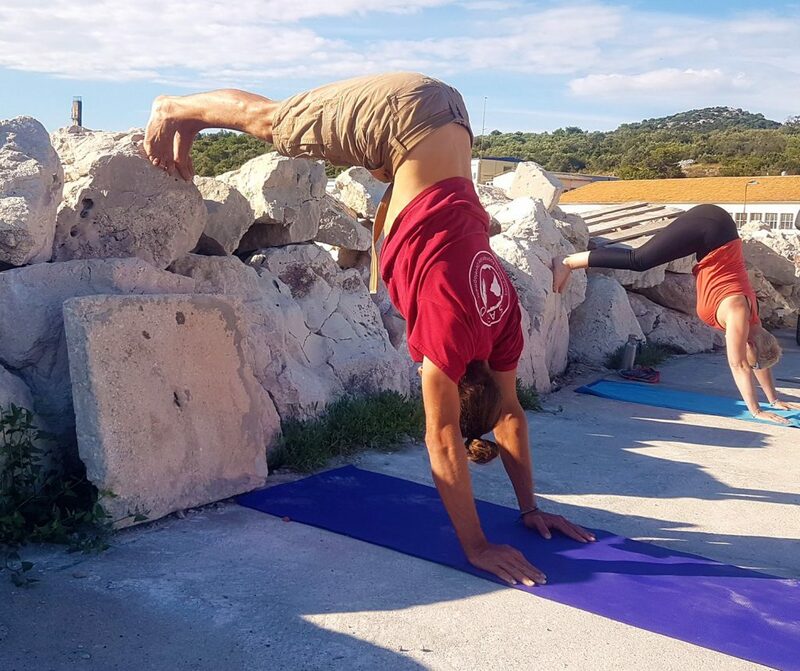 Now when the Summer is in bloom we thought you might need a helping hand with moving your yoga outdoors. 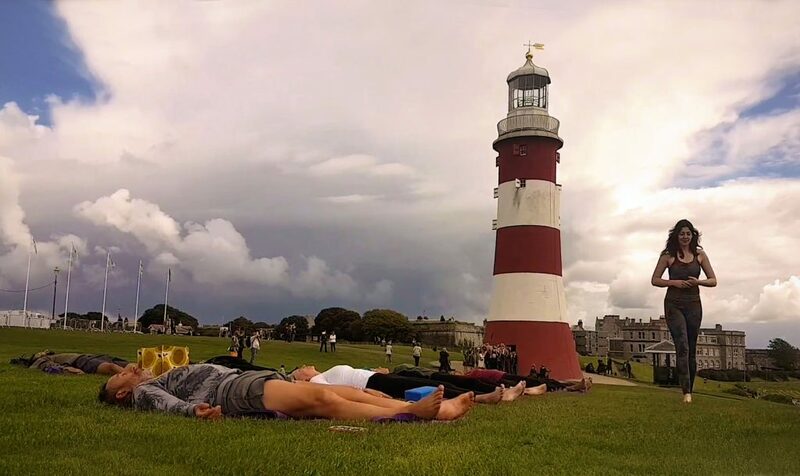 For that occasion we have compiled for you the list of top tips which briefly summarise what we have learnt from running our Holistic Yoga sessions outside of studios – either during our favourite Yoga & Sailing Retreat in Croatia, where everyday we were rolling out our yoga mats in a new breath-taking location, or locally in Plymouth, where our famous bi-weekly Yoga on the Hoe classes ran all the way to November last year, thanks to sheer enthusiasm of our attendees despite moody weather. Your surrounding has a big impact on your wellbeing as well as your ability to focus, especially in your yoga practice. Choose a quiet a bit isolated flat spot where you will have enough freedom to be yourself and connect with the nature without judgement. You can consider anything from sparsely attended parks, lake and river banks to beaches and meadows. Or take the chance to rediscover your own patio, balcony, garden, or even conservatory? Great location – sea view – PERFECT! Every time spent exercising outdoors is worth the effort. But certain time of the day might be more suitable than other. 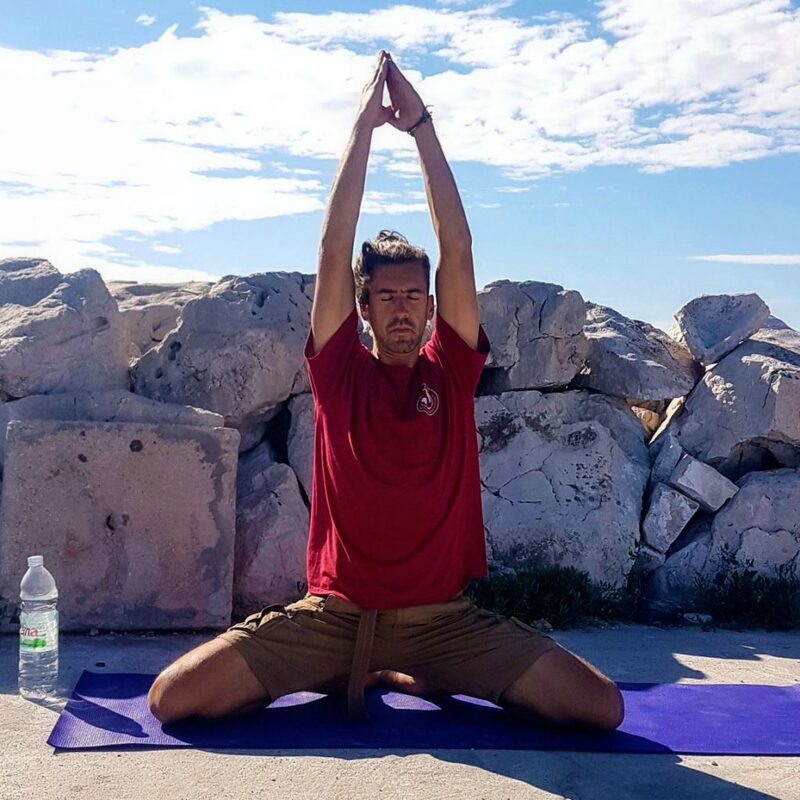 Make yourself familiar with the weather forecast – on a hot dry day you may prefer to roll out your yoga mat during a bit cooler morning or evening, ideally before meals. At the same time however avoid late evenings as you may become an easy target for mosquitos, and other insects! Lovely (generous!) teaching, weather that held perfectly through the session, beautiful view, lovely atmosphere. Thank you very much! 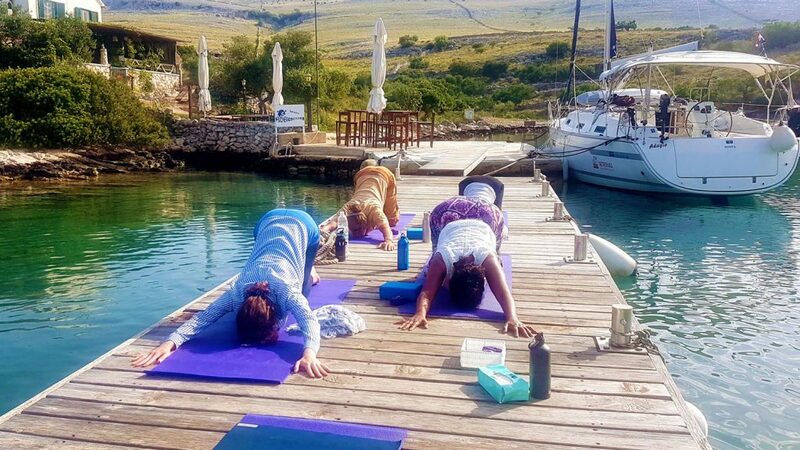 Are you feeling a bit spoiled by the abundance of accessories available in your local yoga studio? Eye bags, straps, blocks, blankets, bolsters, and... walls. Then one day you go into the wild and at first you feel that all the poses you have been trying out with props have to be eliminated from your sequence. Nothing could be further from the truth! Be creative, play with the environment. Make use of rocks, tree branches and leaves. In our most recent outdoor yoga session students even used their water bottles for support. Thanks Paula, the stretching definitely hit the right spots. If solitude is not your thing find a local group that enjoys exercising in lovely natural surroundings. Perhaps there’s a walking or cycling group in your area? 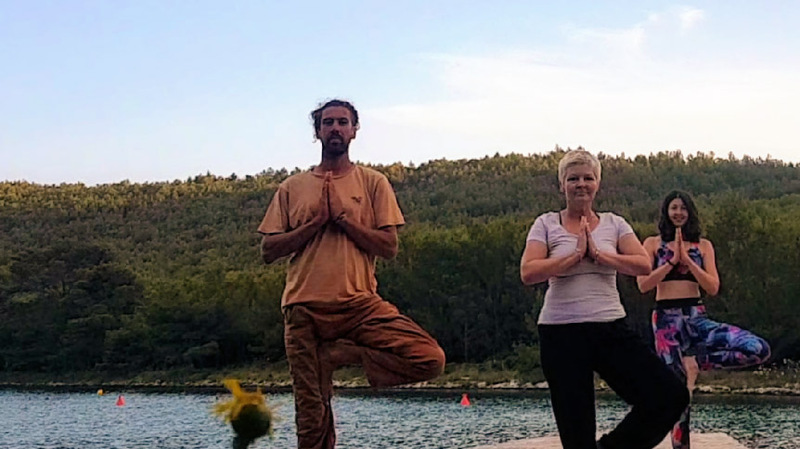 You might even find yoga teachers running weather-dependant bi-weekly classes! Start by browsing Meetup, Facebook Events and Google Search. You will be surprised to discover how many events in your area run completely free of charge! The only thing better from music is silence... and the sounds of nature. The sound of cascading water, gentle ocean waves, deep forest rustle, birds and crickets singing... The sounds of nature have a powerful therapeutic effect on our body, mind and spirit. They naturally support us in letting go of stress and rooting ourselves in the here and now without stressors of our daily life. However if for whatever reason you would prefer to change the original setting why not to bring a small speaker or smartphone with you? 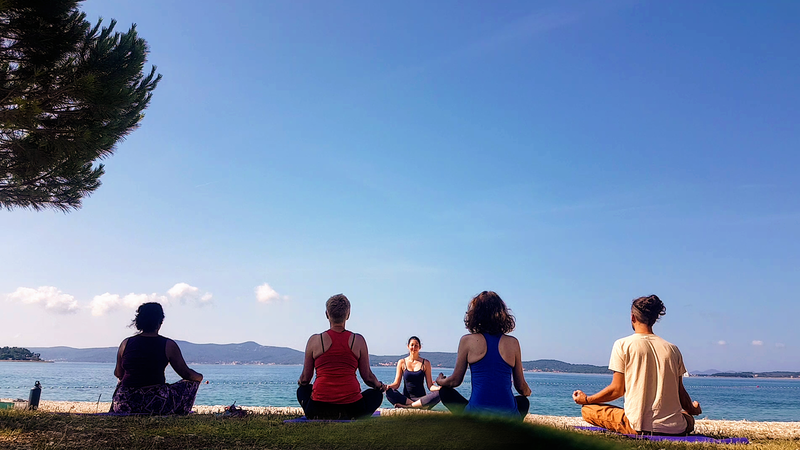 Our top recommendation is the official Yoga & Meditation playlist by Spotify UK. I really feel like I’m slowly getting better and I’m much more mindful of what I’m doing in movement and breathing techniques. The music really helped me stay focused and present. As you can see, on Summer months your yoga can really get into full swing. So, where’s your favourite place to practise?